I would like to find a sunny coffee house in Vienna. That is one with enough glass in the roof or huge windows, so that on sunny winter days one can sit inside and still enjoy the sunshine. Any recommendations? Ideally reachable from Subway/tram station Schottentor with public transportation. It's a café-brasserie-bar with a huge conservatory facing south-west. 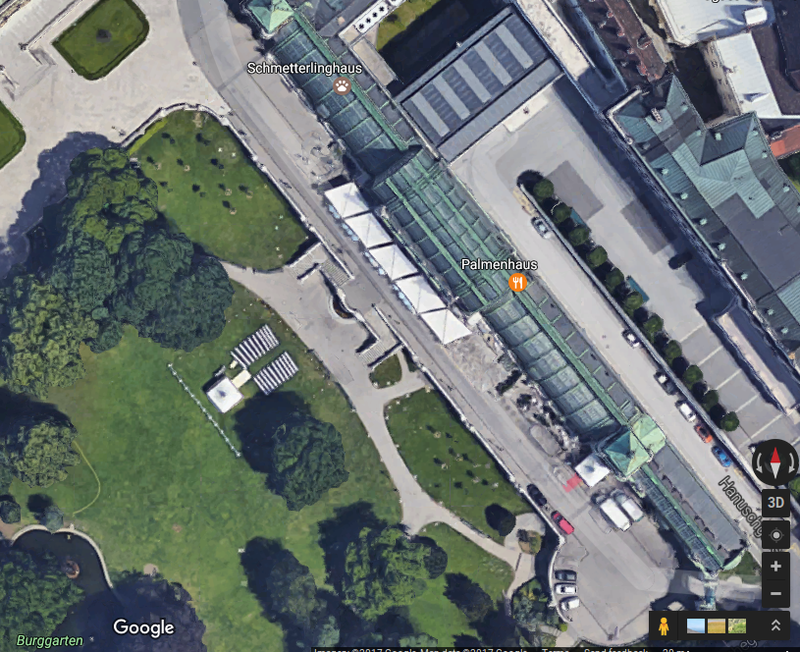 Even better, it has a large expanse of open ground (the Burggarten) in front of it, so the sun is not blocked by buildings even when it's low in the sky. You can reach it by public transport from Schottentor by taking a southbound tram along the Ringstraße. Alight at Burgring, and the Palmenhaus is less than 100m away through the Burggarten. Also, check out the roof terrace bar on top of the '25 hour Hotel' at the end of lerchenfeldstrasse, 2 mins from Volkstheater metro and Museum Quartier. Nice views and a large balcony terrace. Not the answer you're looking for? Browse other questions tagged recommendations vienna food-and-drink or ask your own question.